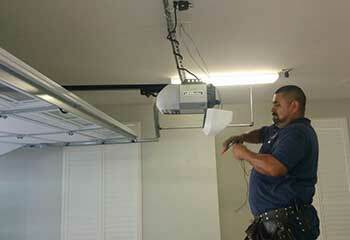 There is a wide range of services that our garage door experts can offer you. If you're looking for a new opener or need something like a spring or a motor gear replaced, don't hesitate to contact us. For more information, check out our latest projects below. Customer Issue: A hairline crack in one of the customer’s imitation wood door panels let in moisture, and warping and bloat followed. Our Solution: Only one panel needed replacing, so our team got the job done in no time once the replacement had arrived from Clopay. There were no problems after some minute adjustments were made and the newly installed panel matched the rest of the door perfectly. Customer Issue: Wanted to upgrade to a more reliable opener. 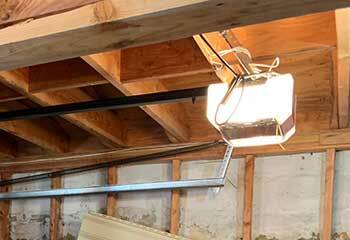 Our Solution: The customer didn't care about noise output, as his garage was not attached to his home. He wanted an affordable motor unit that would also work reliably. We suggested the LiftMaster model 8587W, which is a chain drive opener that offers smartphone connectivity as well as power and security. After installing it for him, we showed him how its different features worked. 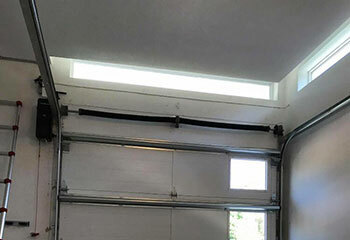 Customer Issue: Garage door spring broke. Our Solution: The customer was anxious to get the problem solved as quickly as possible, so we hurried over and immediately started working. After replacing the damaged spring and making sure the door could move safely again, we gave the customer some tips on how to make the new unit last. Customer Issue: Motor unit broke down. Our Solution: We began by inspecting different parts of the opener until we located the source of the problem to be the motor itself. We replaced the gear that broke with a new one, and then made sure the device had no problem moving the door as needed. 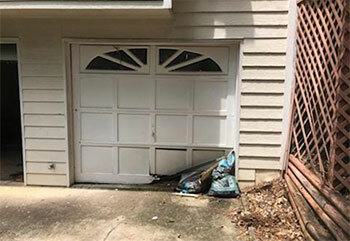 There is no one better at fixing and installing garage door systems than our local repair specialists. You can always count on our work to withstand the test of time. We are always able to quickly provide every customer the service they require. You won't find service of the same high quality for such low and affordable prices.